Muromachi Street of Kyoto has been around since before 1333. 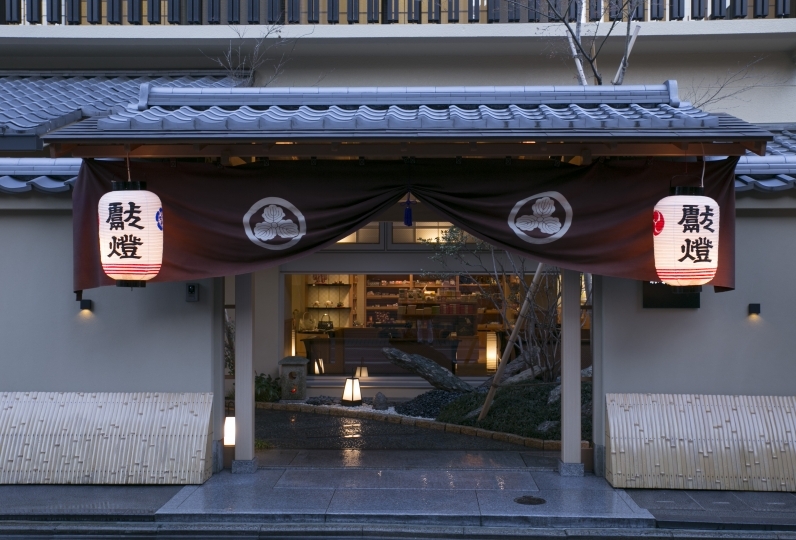 On this historical Muromachi Street, guests will find our ryokan that is sure to become their little hideaway, where they can fully enjoy the calm ambience of the ancient capital. 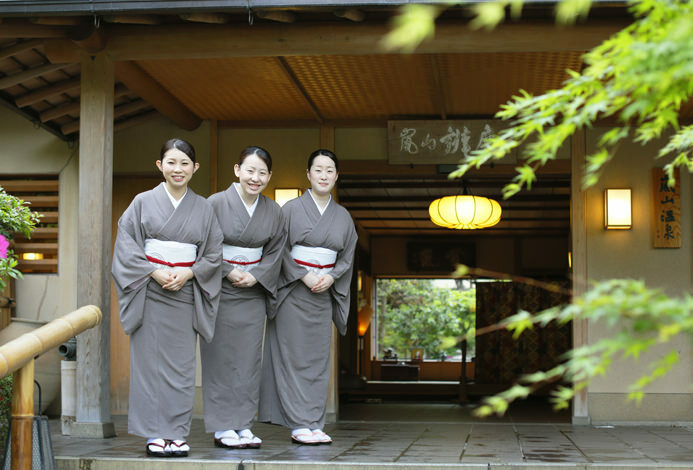 We offer a relaxing atmosphere of a home away from home with authentic Japanese cuisine full of seasonal vegetables and produce all procured in Kyoto. Thank you for your help with my friend. 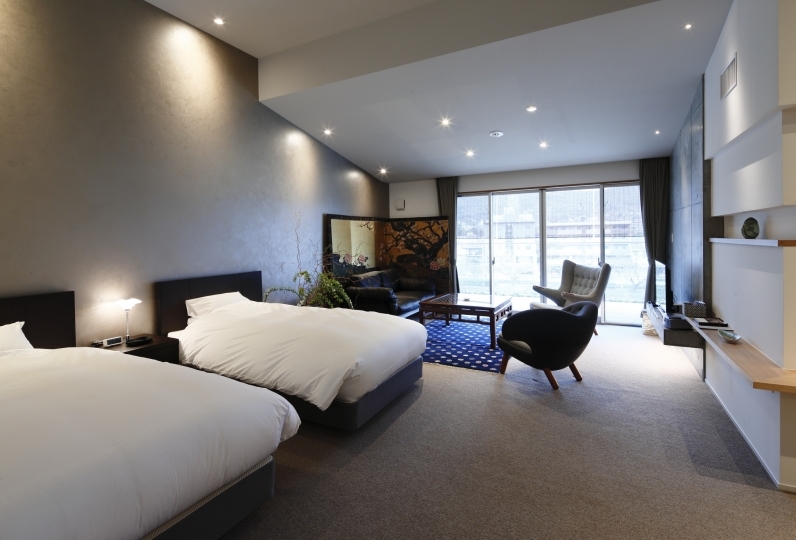 It was a hotel where you can see Tsuboiwa from the reception desk and rooms and enjoy Kyoto-likeness. 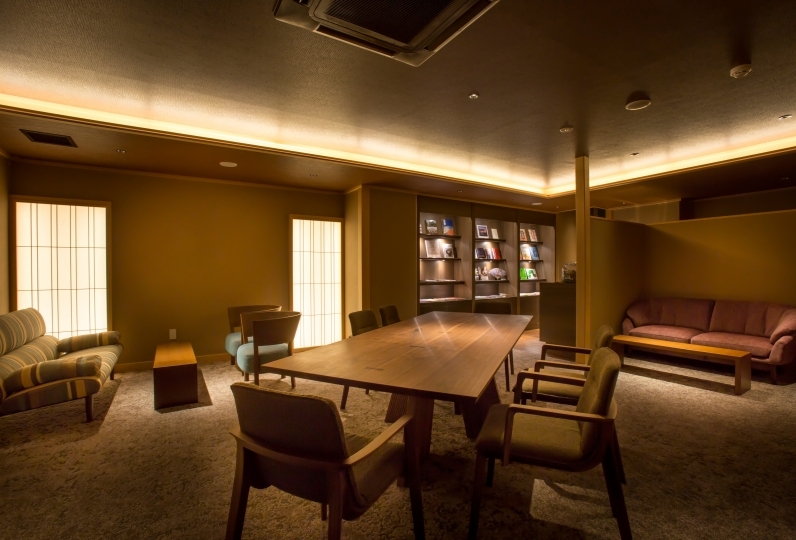 The library lounge can be used freely, so I had a good time chatting and relaxing. The Kyoto Kaiseki dinner was expressed in a plate and a plate and the presentation was wonderful, very delicious and very satisfying. Staff All the staff were filled with hospitality and amenities were complete and I was able to stay very pleasantly. I want to be indebted again. Thank you a lot for your hospitality. Do you send DM or something? Please refrain when there is such a schedule ... I'm sorry. - The menu changes every month. - The menu is subject to change depending on availability. - Please advise us during booking information on allergies and ingredient preferences, if any, that we should be aware of. However, please note that we may not be able to meet all of  your requests. 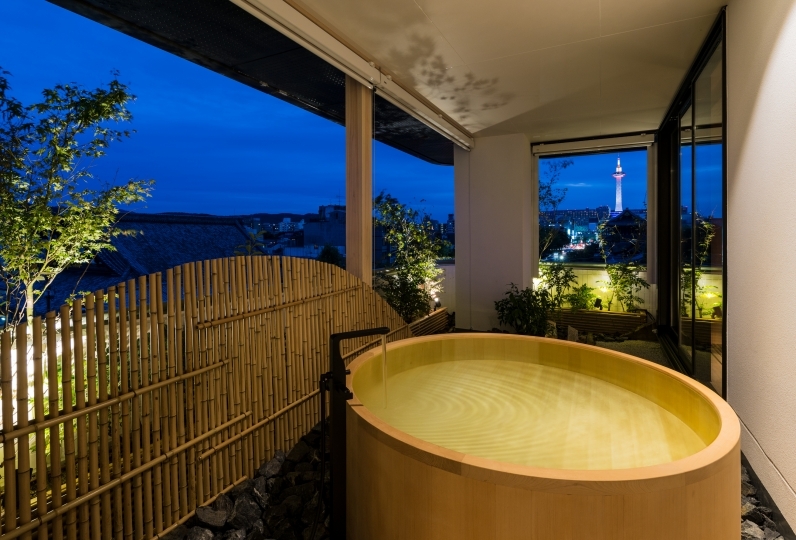 All rooms are equipped with cypress baths. Cypress has a good aroma, bactericidal effects, and helps to relieve fatigue. We hope you enjoy a relaxing bath. 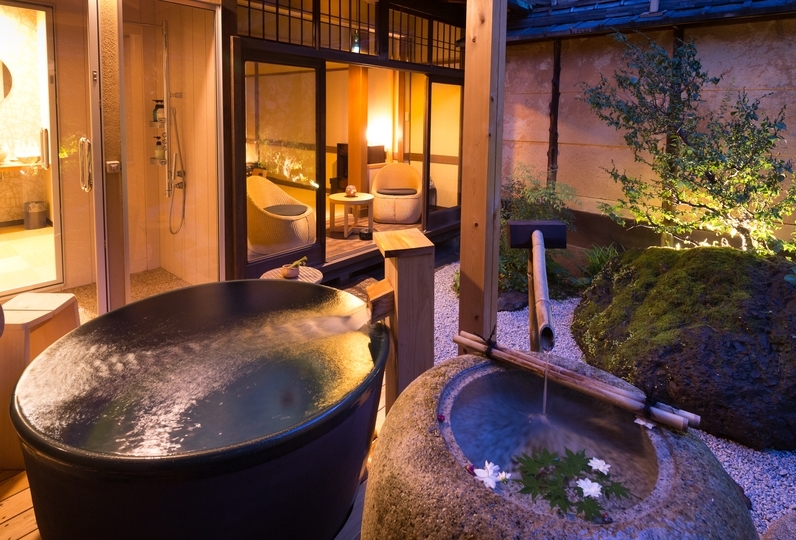 1 person/1 night- accommodation tax (under 20,000JPY:200 JPY/20,000~50,000JPY: 500JPY, over 50,000JPY:1,000JPY). 1.7km from JR Kyoto Station (approx. JPY900 by taxi). Go for 350m north from Karasuma-Gojo, and turn left at the Karasuma-Matsubara Intersection. Go along the Matsubara-Dori, take left on the third turn (intersection with Kameyama Inari Shrine). 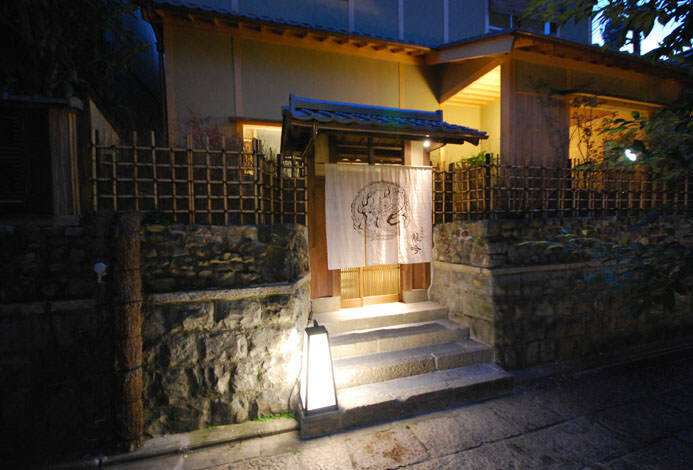 The ryokan is located on the left side 50m ahead. The nearest Hankyu Railway station is Karasuma. 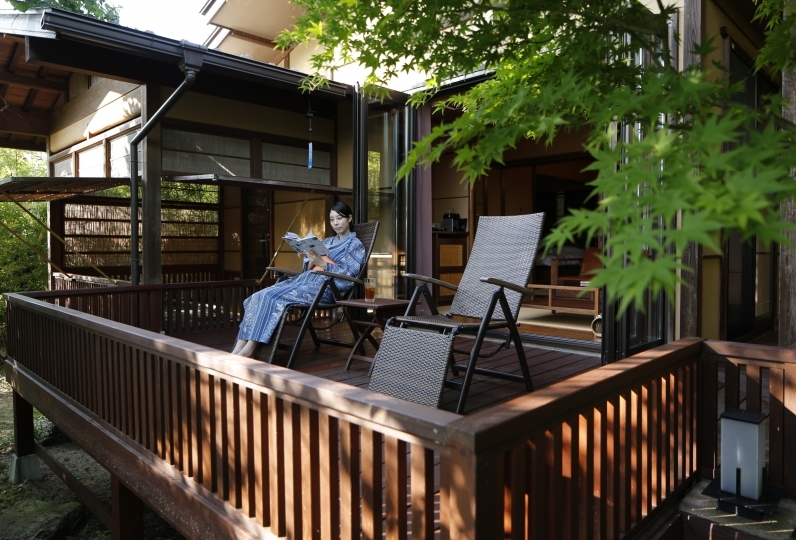 The ryokan is located about 800m away (approx. JPY900 and 4 minutes by taxi, or approx. 10-minute walk). Leave the station from Exit 23 (Shijo-Karasuma Bldg. East Exit) and walk for approx. 7 minutes southbound on Karasuma-dori. Turn right at the Karasuma-Matsubara Intersection. Go along the Matsubara-dori, take left on the third turn (intersection with Kameyama Inari Shrine). 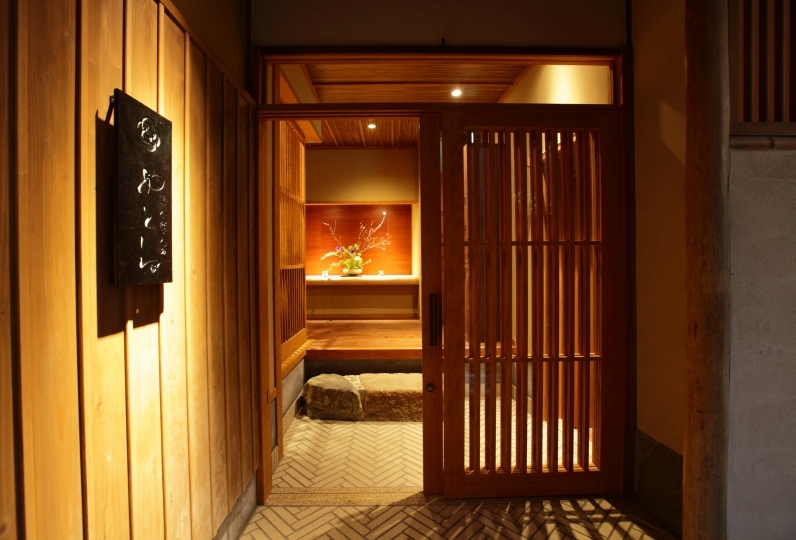 The ryokan is located on the left side 50m ahead. The nearest Kyoto Municipal Subway station is Gojo. 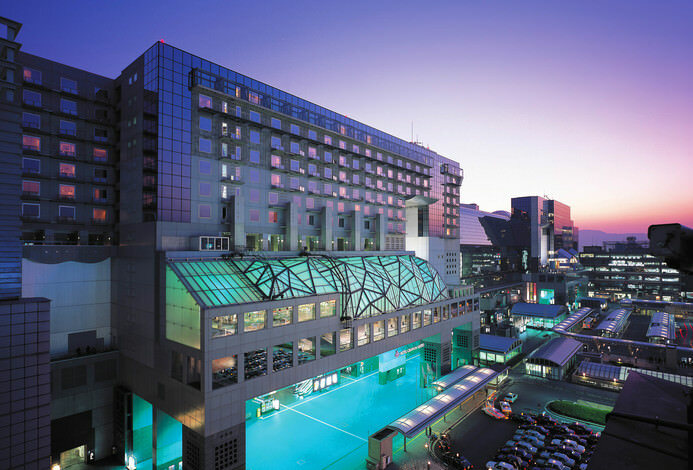 Leave the station from Exit 2, and go straight on for about 300m, and Aranvert Hotel Kyoto will appear. 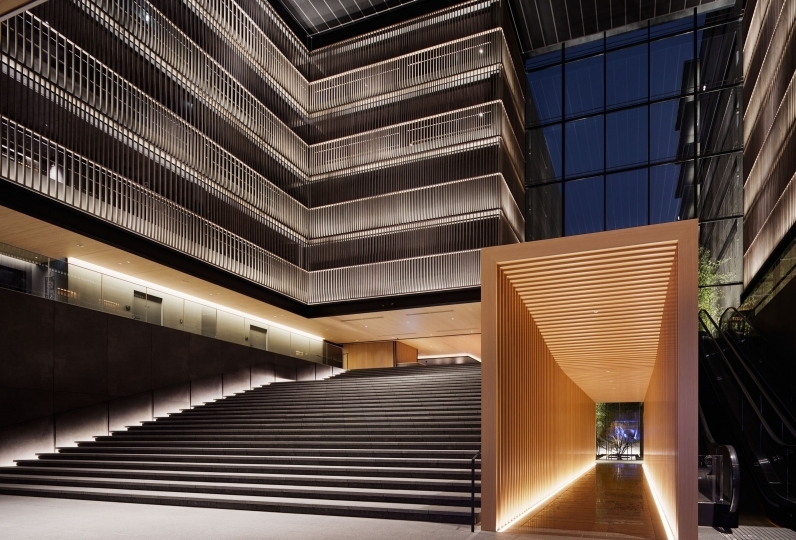 Turn right at that corner, and the ryokan is on the right side 200m ahead. 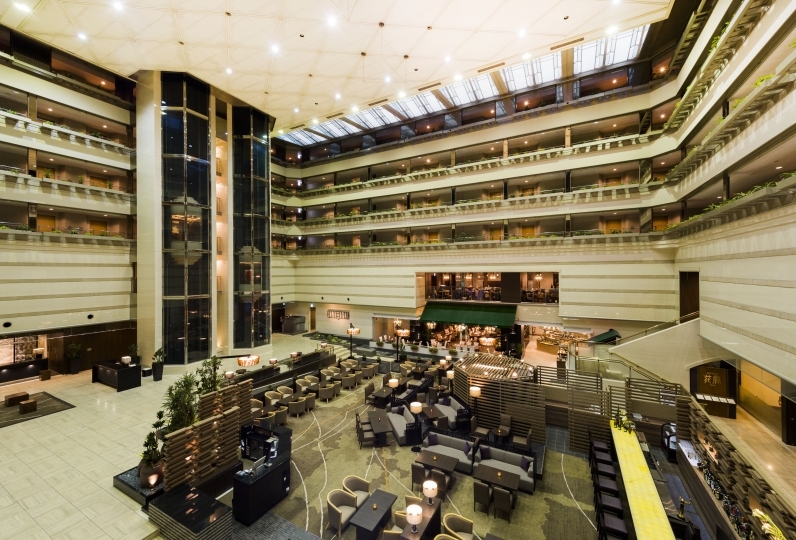 Take the #5 bus from bus terminal A1 or #26 bus from bus terminal D3 from Kyoto Station. Get off at Karasuma-Matsubara bus stop, and turn right at the Karasuma-Matsubara Intersection.